Ever find yourself riding along in traffic and wondering if as a motorcyclist you are legally allowed to use designated HOV lanes? What are the HOV Lane Rules for Motorcycles (and scooters) in Toronto? 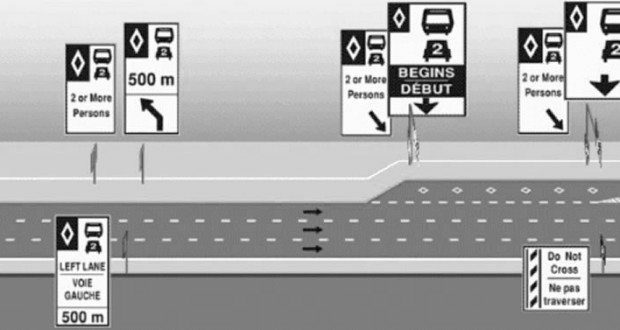 According to the MTO, “HOV (High Occupancy Vehicle) lanes are designed to help move more people through congested areas. HOV lanes offer users a faster, more reliable commute, while also easing congestion in regular lanes – by moving more people in fewer vehicles.” So, where and when can motorcycles use them? Don’t think it’s fair that motorcycles can’t use provincial HOV lanes unless they are traveling with a passenger? Sign the petition here (no longer active) to allow single rider motorcycles access to those lanes! Have any questions about HOV Lane Rules for Motorcycles (or scooters) in Toronto. Leave a comment below! Yeah they need to take a cue from the US and allow motorcycles to use HOV lanes without restriction. And while they’re at it, how about one-upping the US and legalizing lane splitting too? That way maybe it’ll catch on more quickly here than just in California. Great info thanks. But think about it, by definition, motorcycles are not High Occupancy Vehicles. If you want to be included, the approach should be a rebranding to perhaps, fuel efficiency. I’m sure the people on the bus would be wondering why a motorcycle is driving in the HOV lane. 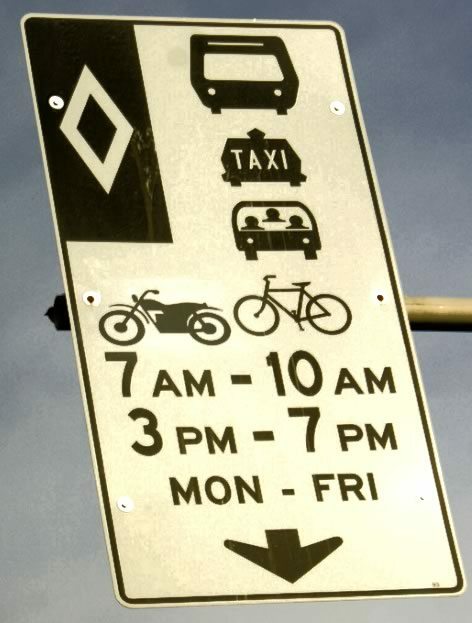 actually, the motorcycle and bicycle icons seem to indicate they can use the HOV only when NOBODY is on the motorcycle or bicycle, so, how stufous is THAT, eh. pretty darn stufous.